The Bid Procurement tool within FMS aligns your company’s shipping needs with the lane preferences and capacity of your carriers, and it does this in a way that accomplishes much more than simply forcing carriers to submit low-ball rates. By optimizing the freight procurement process, FMS can offer your carriers the best possible lanes for their business. This boosts efficiency for your carriers and saves them money, thus enabling them to offer you better rates than ever before. It’s a win-win solution. You get better rates, and your carriers gain the opportunity to win freight awards that will enhance or complement their existing lanes and operations. A shipper’s ERP system will transmit orders electronically through an interface to the Order Management component of McLeod FMS. These are shippable orders, some of which will be of sufficient quantity to become truckload shipments. These truckload-ready orders will be sent on to Load Execution. The other orders will be sent to Mode Optimization, where the software relies on preset business-defined parameters to find the best method of delivery for each order. McLeod FMS optimizes mode selection, so money is no longer wasted shipping freight in ways that don’t fit the best choice for each order. Mode optimization makes it possible to compare dedicated, continuous moves, pool points, and mode-shift LTL to truckload. The tool can compare costs with requirements and run “what if” scenarios to see which option is the best fit for each shipment. This further reduces overall costs for each customer. If you’re shipping large quantities of freight, and you’re still handling much of the work manually, your staff is spending hours upon hours on tasks that can be automated. Not only does the FMS Load Execution tool dramatically reduce the amount of labor required to manage your freight, it also diminishes errors and supports your efforts to manage proactively. You gain the ability to prevent problems before they occur, instead of constantly cleaning up the mess after it’s too late. PowerBroker is the most advanced software solution available for freight brokers. PowerBroker offers a fully integrated freight brokerage operations management system and a complete accounting software solution all in one package, from one company. Should you have a question, comment or suggestion, feel free to contact us by phone, fax, e-mail or mail us with your comments and/or requests. 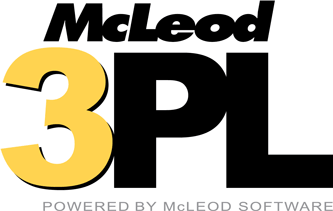 McLeod Software would like to hear from you.